The warm "allrounder" of the Heritage collection. High-quality quilted wool-acrylic rug with fleece underside and gentle logo on the left side. The detachable cross surcingles ensure ideal positioning. 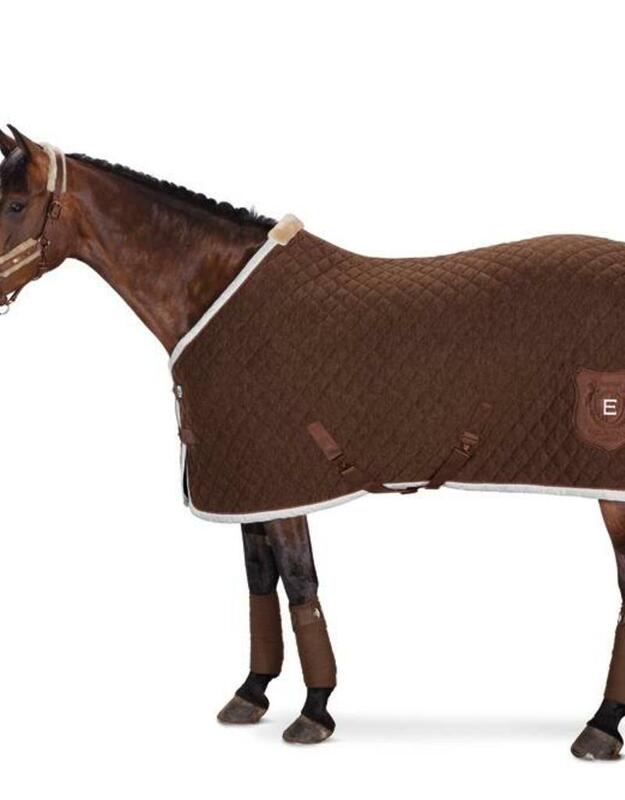 Classical, timeless style which is ideal for travel and competitions as well as back home in the stable. With copper colored metal fittings as eye catcher. Limited Edition!